This is the first sermon in the summer series on King David. The lectionary has a continuous series of readings from I and II Samuel and I Kings. When you think of David from the Old Testament, what do you think of? What kind of image comes up in your mind of this man? David and his defeat of the giant Goliath, perhaps? David as the boy shepherd; or David as the singer and harp player? David as a pious, faithful man of God and a man whose faith was so strong that he was able to write the book of Psalms? What about David as the outlaw and mercenary? Or, David as the traitor, turncoat who allied himself with the Philistines against his people and his King (Saul)? What about David as the bloody and ruthless dictator who never gave a second thought to wholesale slaughter if it fit into his own plans for advancement? How about David the lustful King who preyed on women? David the quintessential Mesopotamian Despot and Dictator? Are those images you have ever considered? Probably not, what we Christians tend to know about King David is really rather limited and has been whitewashed to some extent over the years. But the fact is that David was all of those things listed above – the good and the bad and the ugly. He was both faithful and pious and power-hungry and ruthless. The Old Testament books of 1st and 2nd Samuel present us with a man who is faithful and flawed, and the Court Historian often lays out his flaws in graphic detail. So why do we want to enter into the sordid life of this man? There are two reasons for this – First, because David is so vitally important to the salvation history as recorded in the Old and New Testaments. From the moment he appears on the stage of Biblical history David looms large throughout all that follows. 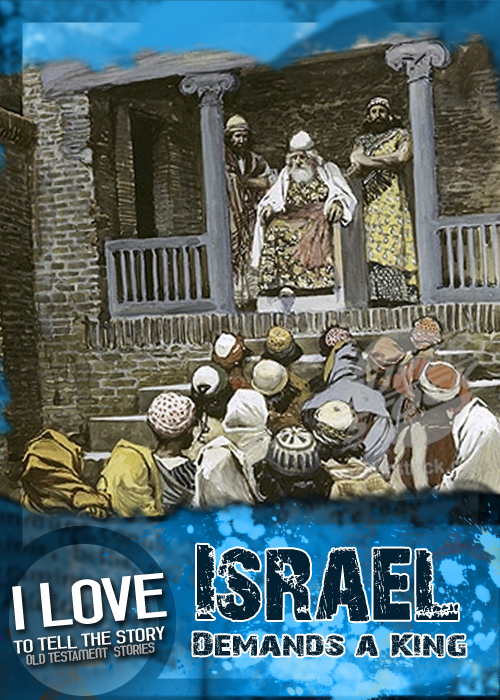 As the Messianic beliefs began to emerge during the period of the Greek occupation the one essential expectation was that the Messiah, when he comes, will be of the lineage of King David! One of the points of the opening Christmas story of the Gospel of Luke is that Luke wants to make sure that everyone gets the connection of Jesus with King David. Jesus is of the “lineage of David” the Gospel tells us, and there are genealogies in both Matthew and Luke that make sure we catch this vital point. David is therefore a part of the story of God’s saving action through the incarnation of Jesus. But that is not all. Perhaps the most important thing we can learn from exploring the life of King David is this – David is a man. He is a human being. He is not divine. He has his moments of piety and faithfulness, but he has a lot more moments of failure and faithlessness. In this he is just like us. And God sticks with him, no matter what (like us). In fact, God’s way of reaching out to this creation that God loves is through the agency of human beings – like David and like you and me. 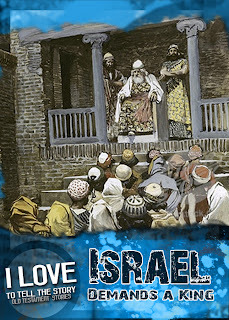 We begin the story today with the Israelites demanding a King. They had lived as a loose tribal confederation since the time of Joshua. But it had not gone well. The book of Judges tells the sad stories of what a mess things were under this loose confederation and as the threats from outside powers begin to grow, along with the economic possibilities which are perceived if only they would be more organized, the people come to the last judge – Samuel – and demand a King. Samuel takes the request as a personal rejection at first, but God reassures him that it is God who is the object of the rejection. But God nevertheless agrees to the request, probably because God was fully aware of how much of a mess things had been and that the original plan might have been good in theory, but in practice (taking into account human failings and selfishness) it wasn’t working. This is an interesting story to consider in light of the fact that we are entering into our own national political season. And one of the major debates between the democrats and the republicans is over how big should the federal government be. We have the small government republicans who want to leave certain things like social net programs to the states and on the other side the democrats who feel that the federal government needs to have a role in these kinds of issues. Well, reading this passage today might suggest that there are pitfalls on both sides, and neither side will bring in a utopian paradise, because the same problems – human failings and selfishness - will always be a part of the equation. This text calls on us to be vigilant and realistic. And to try to see the bigger picture. Ultimately God agrees to the request because God can see that, even with all of the potential problems and pitfalls, ultimately this is the best solution for the majority of people. And this is what is important for us as well. The question to ask is not what is best for me – but what is best for others, for my neighbor – especially the poor and unemployed and hungry and destitute. So, we embark on a journey and an adventure this summer as we will enter into the story of King David. And in this story we will see reflected back our own story of our own struggles and failings, and of God’s never-failing commitment and presence.